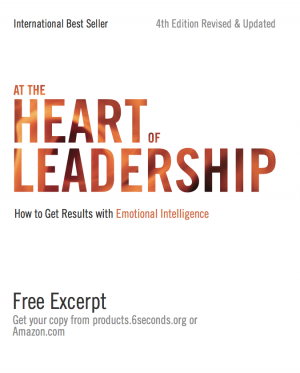 Six Seconds’ State of the Heart report identifies the 3 components of emotional intelligence that predict good decision making. So what are they, and how can you cultivate them? A special thanks to Madison, our statistics intern at Six Seconds who crunched the data, and Tommaso, who manages the publication of the State of the Heart report. Six Seconds is a nonprofit dedicated to teaching the skills of emotional intelligence to create positive change in individuals and communities around the world. To learn more, visit https://www.6seconds.org/about/. Emotionally Intelligent Decision Making: What Skills Do You Need? 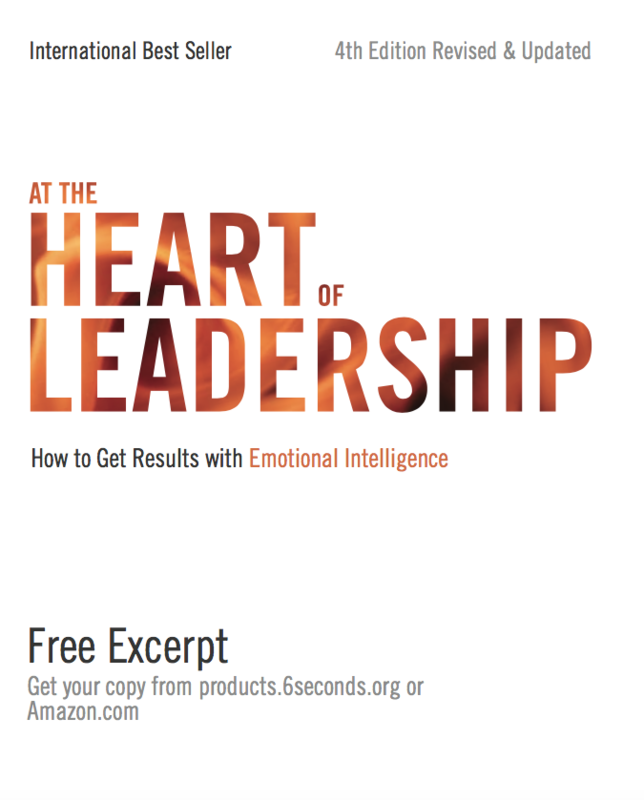 Based on the world’s most extensive database of emotional intelligence, Six Seconds’ State of the Heart report identifies the top 3 EQ skills that predict good decision making. And let’s face it, the decisions we make every day, big and small, all add up to determine our effectiveness, our wellbeing, and our quality of life. SO WHAT ARE THE SKILLS THAT THE TOP DECISION MAKERS ARE UTILIZING TO MAKE CONSISTENTLY GOOD, DELIBERATE AND INFORMED DECISIONS? Let’s take a closer look at each of these, from the perspective of someone who is doing well in that particular area and someone who is struggling. OPTIMISM AND DECISION MAKING: WHAT OPTIONS DO I HAVE? Exercising optimism means taking a proactive perspective of hope and possibility; it’s the ability to see multiple options in a given situation. “Knowing there are options even when you can’t see them,” as Josh Freedman likes to say. It’s important to note that exercising optimism is not simply wishing for the best. It’s an action, a skill. It’s a form of mental and emotional labor where you work to see all the possible options and sometimes, create new ones. So what does the decision making process look like for someone who scores high, or low, in exercising optimism? To understand it, let me introduce you to Jay, an IT worker in his 30s. Exercising optimism isn’t just wishful thinking. It’s a form of mental and emotional labor where you work to see all the possible options and generate new ones. And it’s highly predictive of good decision making. People like Jay, who score in the bottom 25% of exercising optimism, often can’t see options and they feel stuck. Unfortunately, this is becoming more and more common because stress, which is rising all over the world, makes it literally impossible for our brains to engage in this type of outside the box thinking. It’s something known as an amygdala hijack. And it means that when we’re stressed, our amygdala is activated, which is the threat response center of the brain. And when it’s activated, we can only choose options based on previously stored patterns – ways we’ve acted before. Why would that be? Because the amygdala is only concerned with survival, and when reacting to threats, speed is of the essence. Tiger? Run! But when it’s this sort of modern day, continuous stress, that spells disaster for our ability to see options and make decisions. And that’s exactly the situation that Jay finds himself in. He’s an IT guy who works remotely. 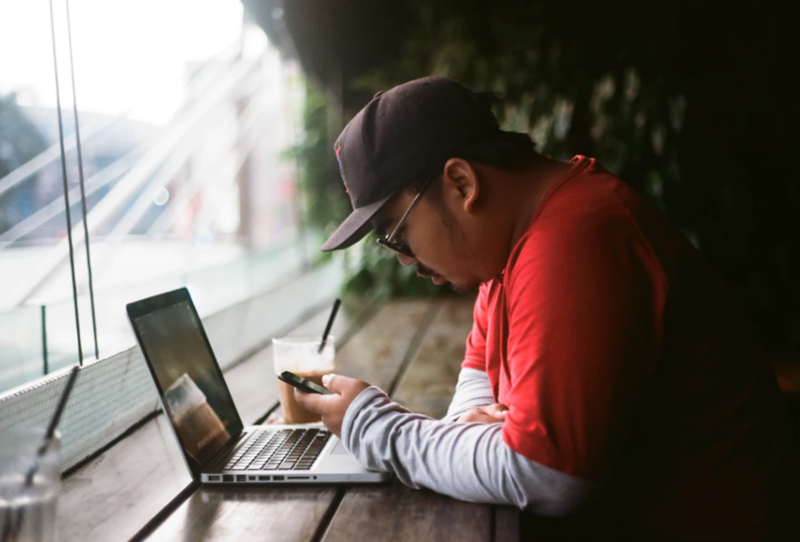 He started off excited about the flexibility of working remotely, but that slowly faded over the course of the last year. He’s an extrovert, and so he started to struggle with loneliness and boredom from working alone so much – and on top of that, he has endless piles of work to get through. This, of course, makes him feel stressed, and narrows his perspective. It’s just full speed ahead. He has a sense that working from different locations and getting together with people would make the situation better, but he’s already drowning under all the work he has to do, so he says he doesn’t have time for that. And so he keeps doing the same routine every day – working at home, alone, all day – even though he’s suffering quite a bit. Low optimism translates to suboptimal decision making. Even if he’s not doing it consciously, he’s making the decision – or really a series of decisions – to keep doing the same thing every day even though he regrets it almost every evening, and definitely regrets it in the longer term. When optimism is low, the quality of our decisions suffers as a result. Stress activates the amygdala, the brain’s threat response center. And when the amygdala’s activated, we can only choose based on previously stored patterns – ways we’ve acted before. It’s an efficiency mechanism that prioritizes speed. When you’re escaping a lion in the Serengeti, it’s a great way to make decisions. That’s why it evolved that way. But when the stress is the continuous, modern day variety, it’s a disaster for decision making. But what about the reverse? How would this situation look for someone who has really honed the skill of exercising optimism? Well, I have good news. After attending Unlocking EQ and the EQ Practitioner course with Six Seconds, Jay learned some really vital tools for exercising optimism – and it’s transformed the decisions he makes about his work life. Jay has honed his ability to see multiple options in a situation. He’s able to say, “Working from home alone all day isn’t working for me. What are my options here?” And he starts to brainstorm ideas, even writing down ideas that don’t seem plausible or don’t fit… yet. He writes down that he could work from the local library, and at least be around other people. Or he could make the hour’s drive up to the office one day a week, to feel more connected to his coworkers and be in a different environment. It’s a long commute and traffic is terrible, he thinks, but he writes it down anyway. He knows he would love to work a few mornings a week at his favorite coffee shop. But I have a meeting every day at 10 am, smack dab in the middle of the morning, he thinks, but writes it down anyway. I could find someone who also works remotely who wants to work together. So he writes down those 4 options: 1. Work at library 2. Commute to office one day a week 3. Work at coffee shop in mornings and 4. Find a remote working buddy. And then he continues with this process of playing with ideas and challenging assumptions about what is or isn’t possible, and trying to generate options that really work for him. He asks himself: what’s stopping me from going into the office once a week? The traffic and how much less productive I am. So what if I went really early? That way I could beat the traffic and have a couple hours of focused work time before the office filled up. Hmm. Interesting. And how can I make the coffee shop dream come true? Well it’s a small meeting, so I could ask the other people if we could possibly move it to another time. Or I could try to find another coffee shop where I could go in the afternoons, which is normally when I feel the most restless at home anyway. And on and on. As you can see, it takes work. That’s why it’s an action: exercising optimism. Research from Ohio State University has found that when we generate at least 3 options to consider, the quality of our decisions goes way up. Jay is certainly headed for a better overall relationship with his work life than before, which really comes down to a series of decisions. Sometimes the best decision, the best course of action, is something that simply isn’t on our radar, or that we are assuming isn’t possible. But what if it is possible? One trick Jay learned at the certification is the trick of naming his emotions. And he’s found that it really seems to diminish the power that stress has over him, just by admitting it: I am stressed. I feel overwhelmed. It provides a little space between him and the feeling. Just enough space to stop steamrolling ahead and check in with himself. And research has confirmed his intuition. It’s found that when we name emotions, it calms the amygdala and activates the prefrontal cortex – basically opening ourselves up to the possibility of exercising optimism, of generating options for ourselves. Name your emotions, accept them, and say: What are my options here? Come up with at least 3. Do you feel grounded in your sense of purpose? Do your coworkers and employees sense the purpose behind your actions? Motivation and Decision Making: What Is the Driving Force? Engaging Intrinsic Motivation means being energized and driven by personal values and commitments rather than by external forces. It’s the tendency to go inward for motivation instead of looking outward. What do I really want? versus What can I do to meet others’ expectations? It’s important to note that intrinsic motivation isn’t something you either have or don’t have. It’s a multilayered skill where you do the hard work to understand what your values are, and then make that a driving force behind your decisions. In the externally focused world that we live in, this isn’t an easy skill to cultivate, but it’s one of the skills that separates people who make consistently good decisions from those who make decisions they later regret. Engaging Intrinsic Motivation predicts 63% of the variation in decision making scores. Do you tend to look in yourself for motivation and validation, or to others? Turns out, those who go inward for motivation tend to make better decisions, per research from Six Seconds. To understand intrinsic motivation and its impact on decision making, let me introduce you to Melissa. She’s in her late 20s and works for a successful technology startup that is growing at a rapid pace. People like Melissa, who score in the bottom 25% of engaging intrinsic motivation, are often making decisions based solely on others’ priorities, desires and expectations. And this is a widespread phenomenon because it’s deeply rooted in childhood, and in particular, the traditional education system. The education system, at least in the United States, is built on a foundation of extrinsic motivation – grades, the teacher’s approval, parents’ approval. It’s all about seeking validation from others, wanting to please others, and doing work for an external reward as opposed to the love of doing the work. Melissa, and millions of other people, are simply acting out the same reward system they internalized as a kid for so many years. But there’s a big problem with that… it predicts poor decision making and low levels of life satisfaction. Let’s look at how this plays out for Melissa, and how it could be different if she shifted her focus of what drives her decisions. Melissa has an admirable work ethic and is a really phenomenal employee. She wants to get things done, do them well, and be praised for her work. Even though she has only worked at this startup for about 9 months, she has already established quite the reputation as a deliverer. But because of that, they keep giving her more and more projects, which she feels like she has to do, even if it means working late into the evening, and coming in on weekends, at the expense of her wellbeing. Her focus is on pleasing others, and she’s afraid of what would happen if she stopped delivering the same results that they have come to expect. So she keeps accepting more and more work, deciding to accept more work, and feeling like she doesn’t have a choice. But in a work world that is even more competitive than school, it’s toxic for her. She’s repeatedly making decisions that don’t serve her, which isn’t very surprising when you consider the fact that her own values aren’t a driving force in her decisions. It’s all about what other people want. So what would happen if she really dug deep into the well of her own intrinsic motivation? When 5 pm rolls around and she is still in the thick of a project she wanted to get done, her focus would shift, as she makes a decision about what to do, to her values: What should I consider as I decide what to do? She could push through the exhaustion to get the job done, as she has done hundreds of times. But she knows there’s a price to pay later for that mindset that will conflict with other values she holds dear: like living a balanced life, taking care of herself, and investing energy in her relationships. It’s a process of realizing that she has a choice: a decision to make about what the driving force behind her decision will be. It doesn’t necessarily mean that she won’t ever decide to stay late and finish the project, just that she has a choice. Regardless of her decision, it’s a shift from “I have to get this done,” to “I have to think about what’s really important to me here.” And that is a defining characteristic of people who score in the top 25% of engaging intrinsic motivation: they have a clear sense of what’s important to them, what really matters, and they let that drive their decisions. This is not a process that Melissa, or anyone, can do in the stressful moments of trying to finish a project before the day ends. That is a time to pause and check how your decision stacks up against your values, not to articulate those values. And once again, it takes work! This process of articulating those values and constantly checking how decisions stack up to them is the skill of engaging intrinsic motivation. It helps me to write them down and have a physical reminder to refer back to. Otherwise it’s too easy to get sucked back into the current of letting others’ expectations and priorities drive my decisions, which leads to suboptimal decisions. As she hones this skill of going inward for motivation instead of looking outward, the quality of her decisions goes up, and along with it her well being, quality of life, and even effectiveness. Should employers support their employees to be intrinsically motivated like this? On the one hand, it seems like that could be bad for business. What if Melissa decides to leave before that project gets done? But research consistently finds that this would be good not only for Melissa, but for the startup, too. Remember she’s a phenomenal employee, one the company would regret losing. And when she is only focused on external motivators and pleasing others, that is a recipe for burnout. Melissa taking care of herself could mean staying at the company longer (it normally does), and actually contributing more value. By focusing on her own values, she brings more value to the company over the long haul. Is it good business to encourage employees to take care of themselves, even if it means leaving before a project gets finished? Melissa’s story is an interesting case, more applicable than ever. Pursuing a noble goal means connecting your everyday decisions to your bigger sense of purpose. What do you want to contribute to the world? And are your decisions getting you closer to that? It’s about having an expansive vision of why you are here and then making sure all your actions are aligned toward that goal. It’s the realization that even your smallest actions help bring the future you want into the present – and in that sense, even the most mundane actions are an opportunity. You make your legacy with every moment of every day, with every decision. To understand how the presence or lack of this skill plays out in real life, let’s take a look at a fascinating woman in her late 60s, Beth. And that why’s pursuing noble goals predicts 62% of the variation in decision making scores. Beth has been an entrepreneur for decades. She started her own catering business at a time when not many women took the risk to venture out on their own, and had become quite successful. By the looks of it from an outside perspective, she had made it. She had wealth, stability, and renown in her community. She had the means to retire and kept working anyway. But people like Beth, who score in the bottom 25% of pursue noble goals, tend to be dissatisfied with their decision making, and Beth definitely falls into that category. She keeps finding that her decisions don’t get her where she really wants to be. That is not to say that she, or other people who score low in pursue noble goals, always makes bad decisions. In fact, she’s repeatedly made good business decisions. 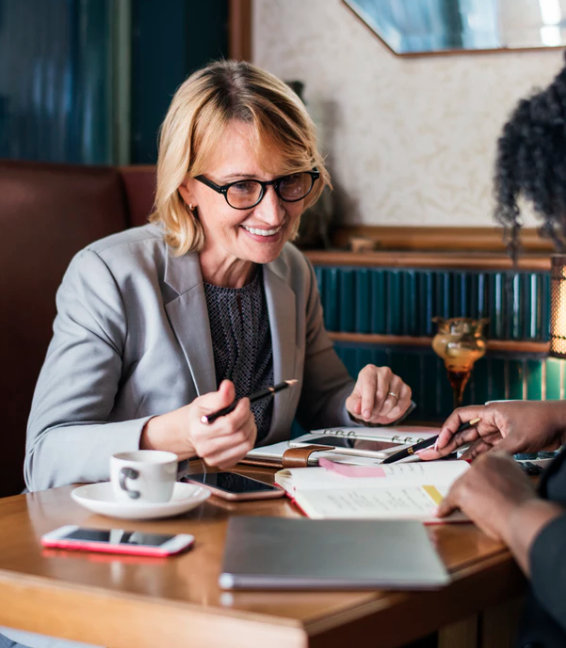 But on a personal level, she tends to make decisions based on very short-term criteria – such as what will give her a temporary energy or mood boost, which for her, is actually working incessantly and growing her business. But she keeps doing it even though it’s not getting her any closer to her long-term goals. In fact, she has been so committed to her business for so long that nearly all her decisions revolve around helping her clients. And so she doesn’t really have a clear sense of what her long-term goals are at all, outside of the business realm. And this has left her, especially in the last couple years of her life, with a real empty feeling. An aching feeling that something vital is missing, and that often turns into prolonged episodes of depression and anxiety. It wasn’t until she attended Six Seconds’ EQ Practitioner course that she started to unravel the root cause of this unhappiness – and it led her to make some really big decisions – and changes – in her life. Who is there and what are they saying about you? Does this match what you would want them to say? What’s the legacy you want to leave? Is that the legacy you’re leaving? She realized that she had work to do. That the empty feeling that kept coming back stemmed largely from a lack of focus on the long-term. She had been so focused on the short-term – all the things she needed to do to be a successful businesswoman – that she gave little to no thought to this bigger picture. Through that exercise and in subsequent sessions on pursuing a noble goal, Beth started the process of uncovering what her noble goal is, what legacy she wants to leave. After a long process of crafting and changing it, her noble goal came down to this: Creating a world where basic kindness flourishes. The roots of this belief go back to her own grandmother, who taught her about the incredible power of simply being kind. And in today’s world, she feels like this simple mission is more important than ever. But most importantly, she realized that every decision she makes is a step toward making this goal a reality. And this led her to question many of her decisions that she hadn’t questioned in a long time, like how much she worked. She realized that when she works too much, it diminishes her ability to pay attention and empathize with others, which makes it harder for kindness to flourish. Similarly, when she doesn’t take care of herself, like neglecting to eat a good lunch in favor of getting more things done, she becomes more irritable. So this bigger picture purpose serves as a guide for even seemingly random decisions like what to eat for lunch, or how to respond when she gets cut off in traffic. In that moment of pause before she reacts or makes a decisions, she measures up her options against her noble goal. Will this create a world where kindness flourishes? Pursuing a noble goal helps you connect your what, your how, and your why. It ensures that your are living your life in a way that is consistent with the change you wish to see in the world. That you are making decisions based on what you really want. And when you do that, you tend to make better decisions. DO YOU STRIVE TO LIVE A MORE PURPOSEFUL LIFE LIKE BETH? DOWNLOAD YOUR FREE EXCERPT HERE! COULDN’T THE WORLD USE MORE OF THAT TYPE OF DECISION MAKING?